Settlements are on planet surfaces. 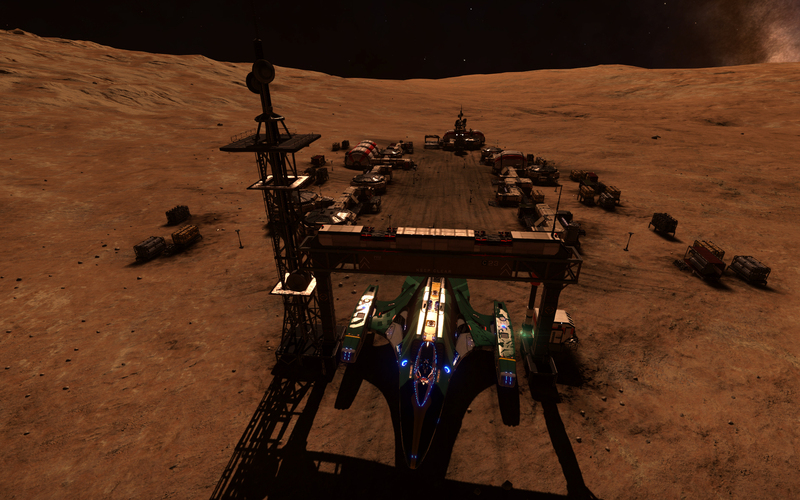 Unlike surface ports, ships and SRVs cannot dock at settlements. Settlement do not display in the contacts panel of the HUD. 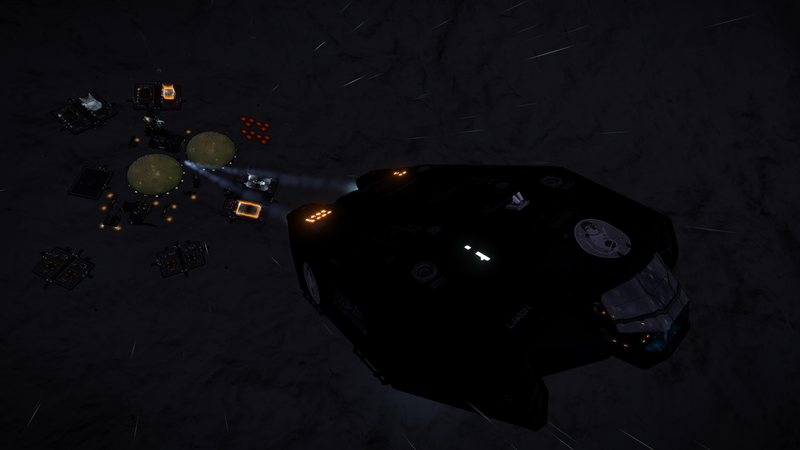 Settlements can be guarded by Skimmers, anti-SRV turrets, and anti-ship defence turrets. 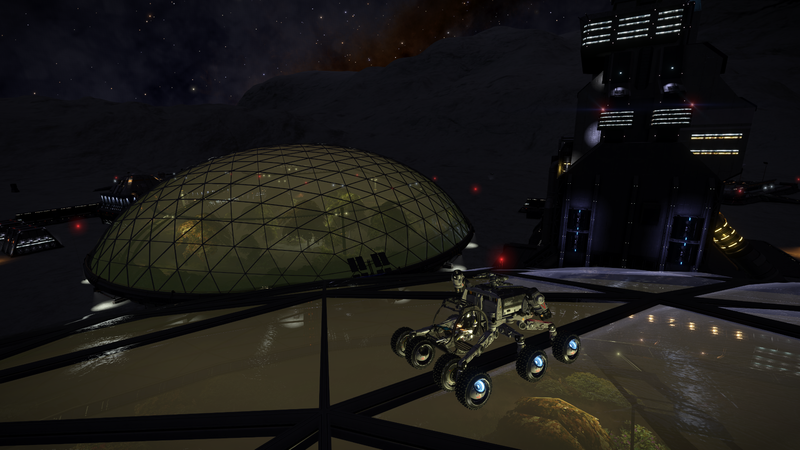 Depending on their security level, they can have no-fly-zones and areas which are off-limits to SRVs. Trespassing in these for too long, accessing private data towers, attacking the defenders, or destroying generators can trigger the settlement defenses and, if the faction isn't lawless, issue a fine or bounty. These are some settlement locations. This thread has more. There are abandoned settlements which don't have interactive objects apart from recoverable data logs and data beacons. 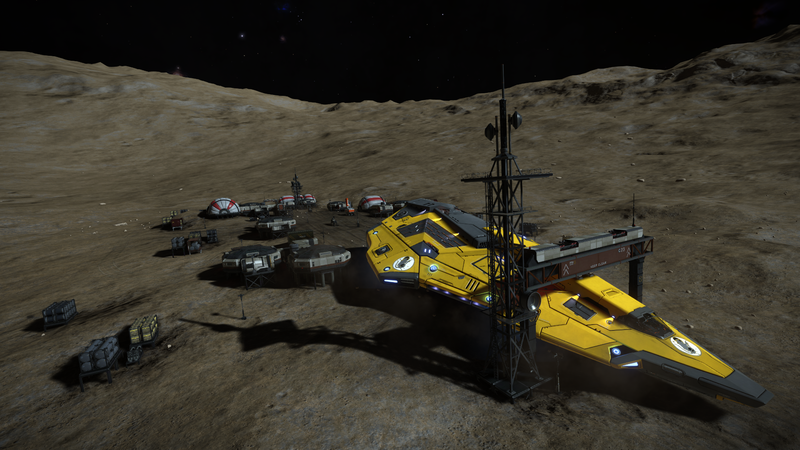 One of the most well-known is the mining settlement Dav's Hope in Hyades Sector DR-V c2-23, where plentiful Manufactured Materials can be salvaged. The now-defunct Intergalactic Naval Reserve Arm operated from a number of covert bases during the first conflict against the Thargoids in the 32nd century. 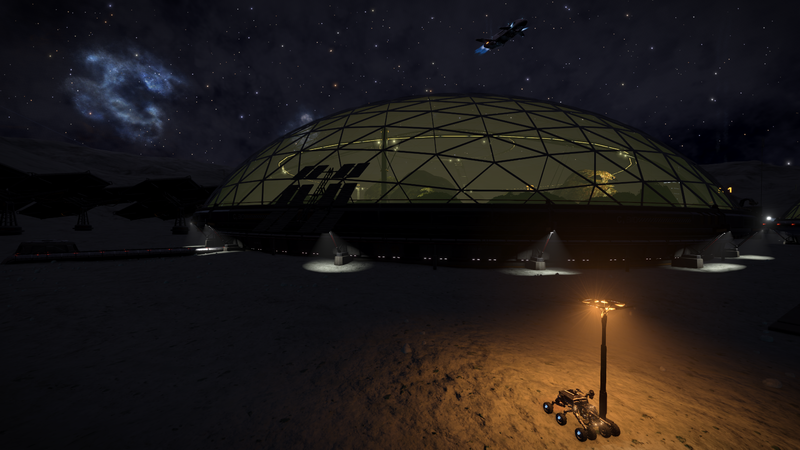 A number of these bases were rediscovered in late 3303 as new Thargoid incursions occurred in the Pleiades Nebula and Core Systems, and audio logs recovered from the bases shed light on INRA's unethical actions and betrayal of the famed CMDR John Jameson. 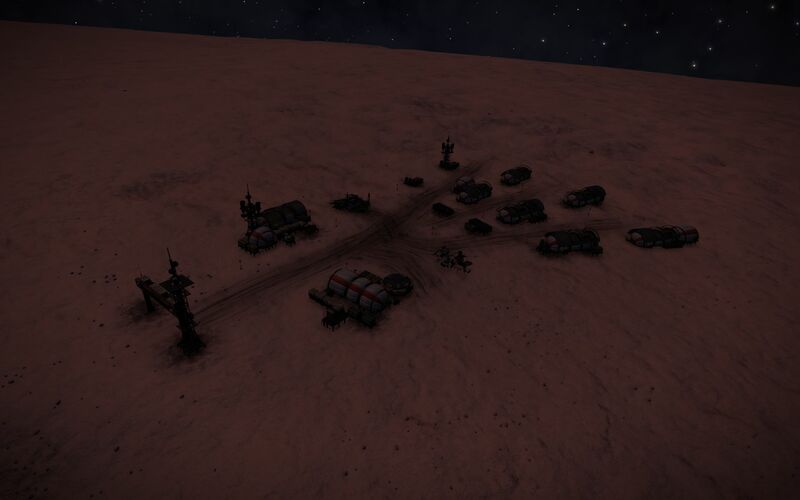 Since June 28, 3304, independent pilots have found a number of abandoned settlements that had been attacked by Thargoid forces. While some of the settlements managed to evacuate before they were attacked, others were not so lucky. 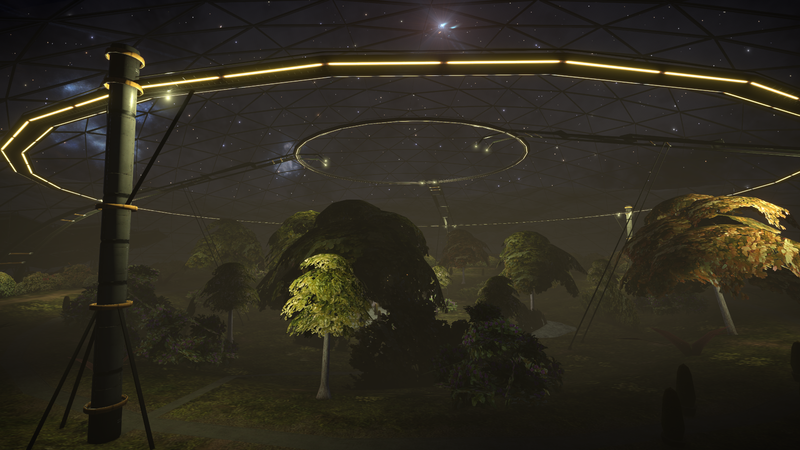 Recovered logs indicate that some survivors may have been abducted by the Thargoids. The Settlement size is indicated by a varying number of + signs, the more +'s the bigger the settlement. A settlement without any + signs is usually only 1 or 2 buildings. Data points can be scanned with a Data Link Scanner for intel packages, which can be handed over to a Major Faction for credits. Data towers control and monitor various functions of the settlement and can be accessed with a Data Link Scanner. Generators power various functions of the settlement and can be destroyed. Missions can ask for a specific data tower to be accessed or a specific generator to be destroyed. The official Settlements - Elite Dangerous: Horizons Pilot Training video has a detailed explanation. For example pirate factions give Destroy the Generator missions where the commander must destroy a defense system power supply. 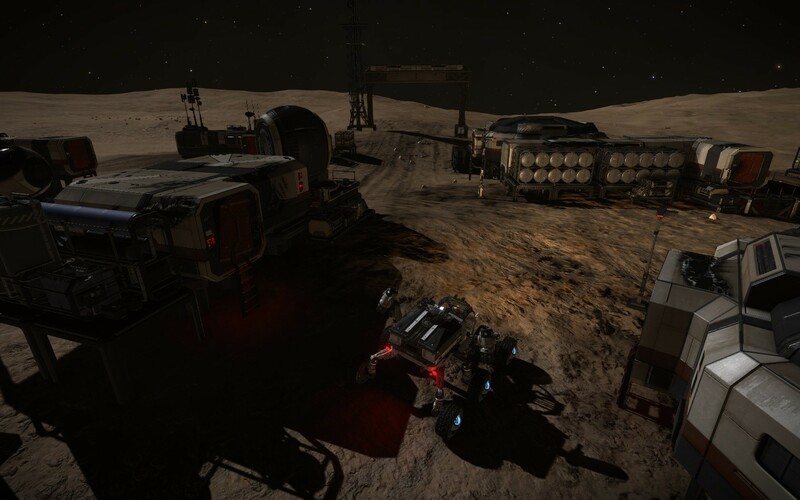 For Power Generator missions it says you need an SRV, but you don't necessarily need to use it. 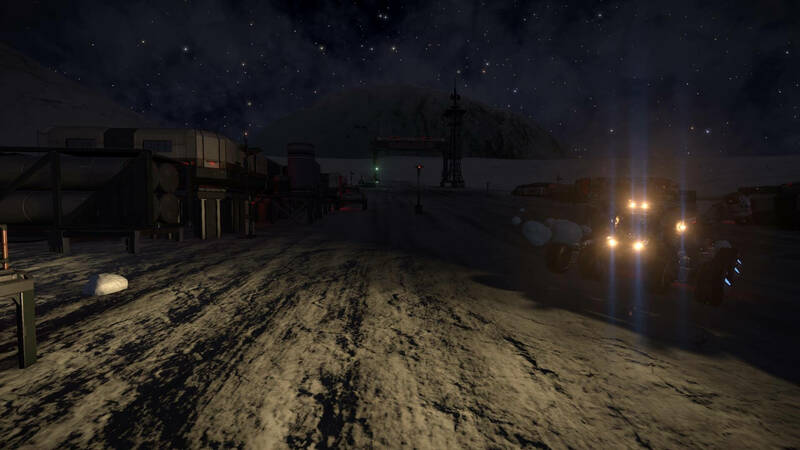 Scout the area with your ship until you find the lone generator or the multiple generators. Once you find it, make sure your ship has dumbfire missiles outfitted. Get close enough so the anti-air guns don't shoot it out and fire the missile. You will get the mission complete status. It's honestly that simple. Scouting in your ship allows you to get in and out before the trespass alarm sounds off. Missiles are easy, quick ways to take out the generator in one go. They also don't use any WEP pips. Just approach with 4 in SYS and 2 in ENG. You will need the shield defense, but you won't need to stay in there for long if you get the first shot off onto the generator. The alarm doesn't go off when the missile fires, it goes off when the missile destroys the generator. 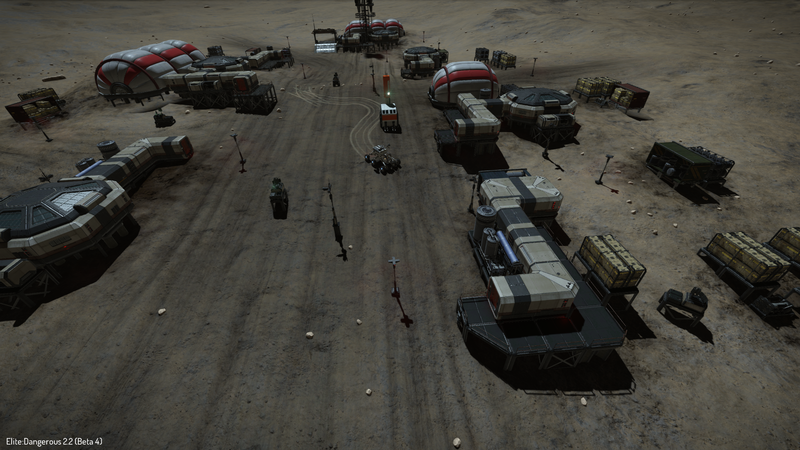 These are generators that can power many different buildings such as weapon batteries or comms dishes. They can be disabled by firing at them. They don’t appear on your sensors until you're relatively close. So they can sometimes be tricky to locate. There are normally several and you need to take out the right one. Settlements are guarded by several Defence Turrets of varying sizes; both small anti-vehicle turrets and large anti-starship batteries. Small anti-ground turrets are kinetic-based, whilst the standard anti-ship batteries are pulse or burst lasers. The largest anti-ship batteries are heavy kinetic cannons. A Defense Platform is a large turret for air defense. Sensor range before trespassing warning at low security is 728m. Sensor range before trespassing warning at medium security is 1.6km for ships However this distance depends on where the defense platforms are placed. Settlements with medium or higher security ratings have proximity sensors Proximity sensor placement is based on both the population rating and the Security rating. Some Settlements have no proximity sensors. Low Security ? ? ? ? Medium Security 700m ? none or ? ? Force Fields block both ground vehicles and bullets. They often block ramps and can be disabled by destroying a nearby generator. Some high security settlements will have gates that close on you if you enter a restricted area.